Every date night should begin this way! 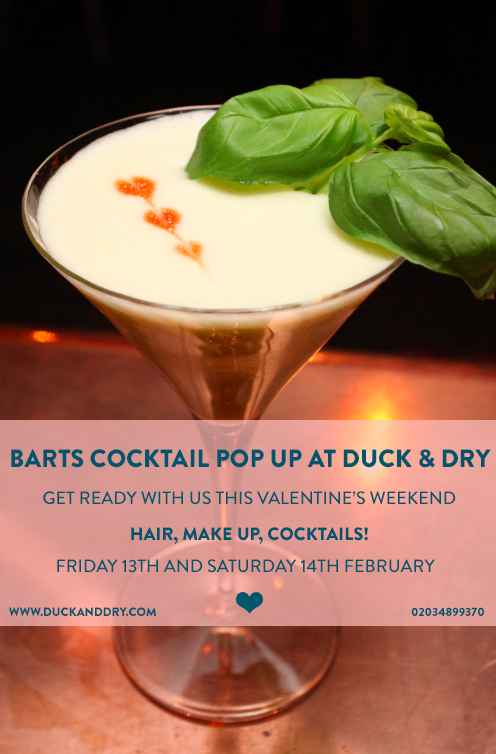 This Valentines Day you can prep for your romantic dinner (or anti-Valentines Day girls night out) with hair, make-up and cocktails at Duck and Dry. 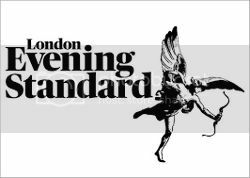 On the 13th and 14th of February the blow dry bar is bringing in their top make-up artists to join their team of hair stylists to make sure that every lady looks perfect for their night out. In addition to the perfect blowout and professional make-up, Duck and Dry has joined forces with the legendary Chelsea bar, Barts, who will be providing speciality cocktails during your beauty session including the “Basil Fawlty”, made with your choice of Russian standard Vodka or Bombay Sapphire gin, fresh basil leaves, pineapple and lemon and the “Jazz Singer” a mix of Reyka Vodka, passion fruit, vanilla and kaffir leaves. Book your appointment at Duck and Dry by calling 02034899370.